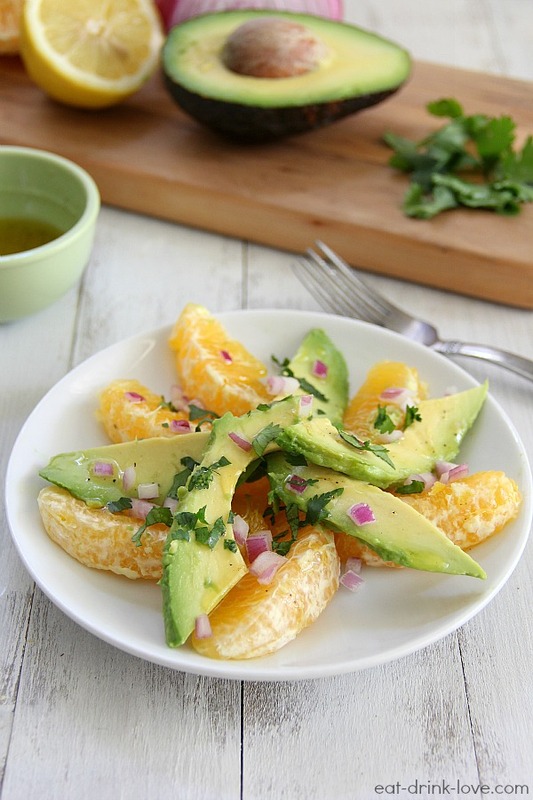 Citrus Avocado Salad - Eat. Drink. Love. So I accidentally left my phone at work yesterday. I got home and it wasn’t in my purse. And it totally freaked me out. And I was too tired to go all the way back and get it so I left it. And then I spent the next 14 hours without my phone. I totally annoyed my husband with my complaining. I had Candy Crush withdrawal. Oh the tragedy! Ok, enough about my technology addiction and onto this light and delicious salad. Who says salads HAVE to be packed with greens? Not this girl. Salads can go so many different ways and this citrus avocado version is a summer favorite for me! 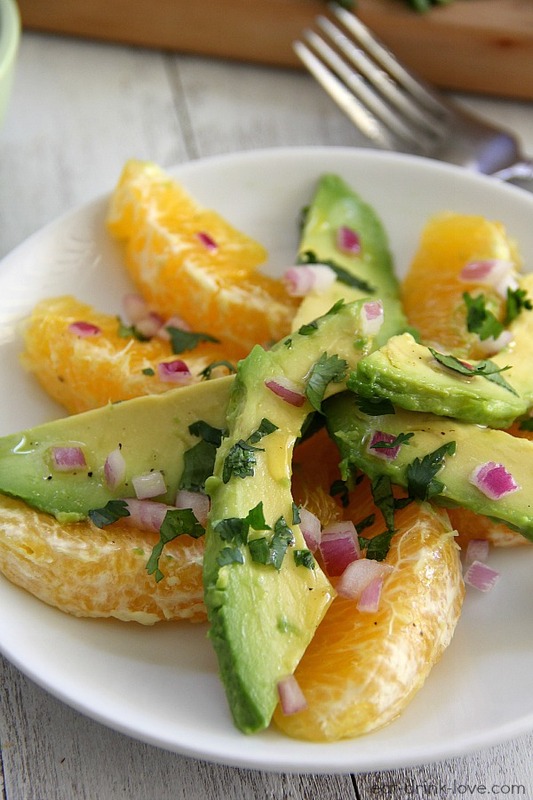 I love the sweet and tangy flavor from the orange paired with the creamy avocado. And then the lemon honey dressing makes it all even better! Nothing beats fresh citrus and perfect avocados this time of year. 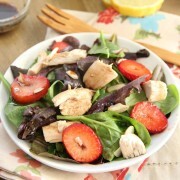 I would not say that this salad is super sweet despite using the orange and the honey in the dressing. If you are not a fan though, you can certainly omit the honey from the dressing! I was a little lazy with segmenting my orange because I just wanted to get to the part where I got to eat this lovely little salad! To prepare the dressing, whisk together all of the ingredients in a small bowl and set aside. 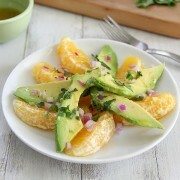 For the salad, layer some orange slices in a circle on a plate, then layer the avocado slices on top (as pictured). Sprinkle the red onion and cilantro on top. 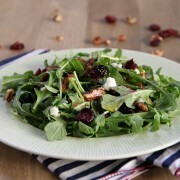 Drizzle the desired amount of dressing on each salad and serve. It never crossed my mind to make something like this. Simple yet appealing. It adds zest to the already refreshing combo of avocado and orange. Great job, Stephanie! 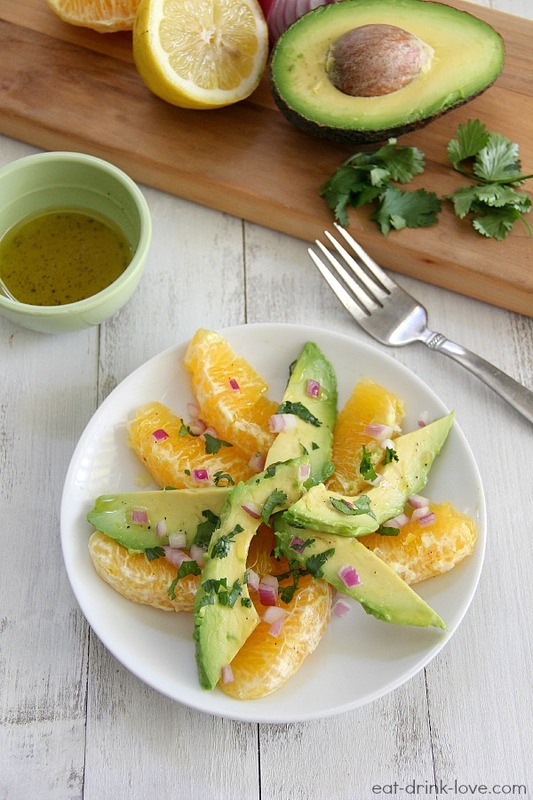 Your lemon-honey dressing sounds like the perfect compliment to this citrus & avocado salad. What a delicious medley of flavors. Perfect for summer! Lemon honey dressing? Just pour that into my mouthhole, please. This salad looks so refreshing and light! How elegant! Love the colors and flavor combos, I’ll definitely have to try this someday! What a lovely, refreshing combo! 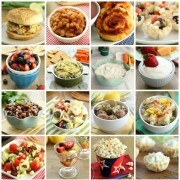 I could easily eat this for my dinner…and be extremely happy!!! Ohmygosh I hate when I do that! I feel lost. Even worse, the other day I left my laptop at work — no blogging, no shopping, no connecting. It.was.horrible. Anyhoo, this salad is super pretty and looks so healthy and refreshing! I love avocado and citrus. Delicious. Thanks for sharing this great recipe. Nice combintion, gonna have to try this one. What a lovely, refreshing combo!